The Republican National Committee will be hosting an Asian Pacific American (APA) Community Meeting and Republican Leadership Initiative (RLI) training featuring U.S. 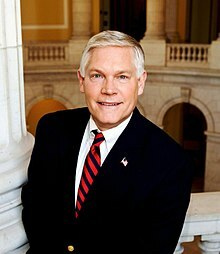 Congressman Pete Session (TX-32) on September 8th, 2018. The event will begin at 1:30 PM and conclude around 4:30 PM. Snacks will be provided. The conversation will be moderated by RNC Director of APA Engagement Adi Sathi and RNC Texas State Director Stephen Wong to discuss issues that matter to the APA community in the greater-Dallas area. If you have any questions, please feel free to contact Adi via email at ASathi@gop.com or at (248) 704-4941. Thank you for your interest in joining us!